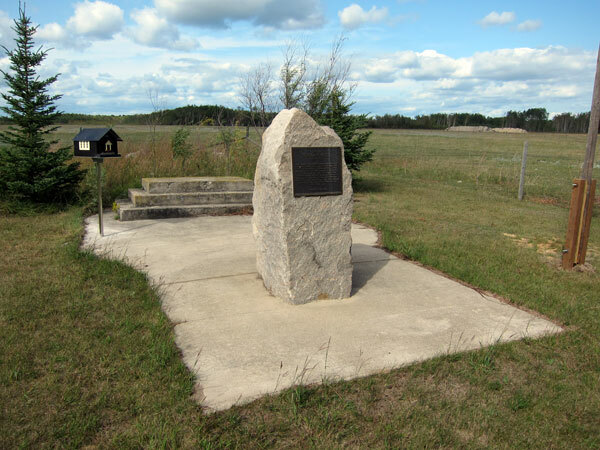 A monument in the Rural Municipality of Alonsa, erected in July 2002, commemorates Budka School, which was established here in January 1914. 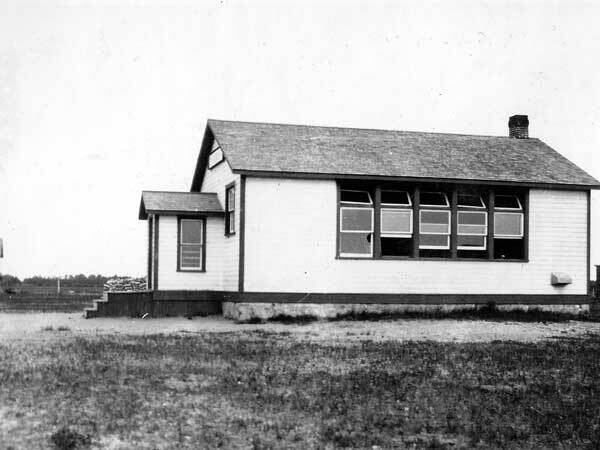 It served the community until April 1936 when McCreary Municipal School No. 1348 was established in the village of McCreary. 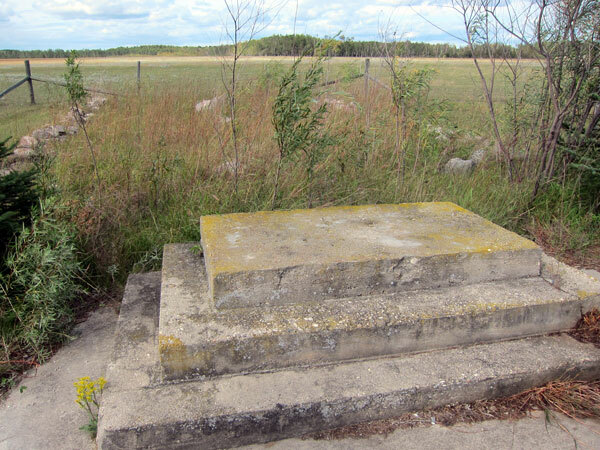 In addition to the school building, the steps of which have been incorporated into the cairn, the site had a teacher’s residence building and a barn for horses used by the students to ride to school. The teachers of Budka School included J. F. Kasperski (1914), W. J. Mushinski (1915), C. Siekierski (1916-1918), Stephen Wolanczyk (1918), Stefan Wuss (1918), Andrew W. Danyleyko (1919-1920), J. M. Hawryluk (1919-1920), William H. Howard (1919-1920), Michael Kozier (1920-1923), Elizabeth May (1920-1923), E. R. Zedare (1920-1923), Elizabeth White (1920-1923), John Kraus (1920-1923), V. McGowan (1923-1924), Mrs. Jean Swanson (1925-1926), Ella E. Umphrey (1926-1928), Charles E. Durnin (1928-1929), Gilbert J. Harris (1929-1930), Margaret A. Taylor (1930-1935), Anne Nowazek (1935-1936), Mary L. Thompson (1936-1939), Mrs. K. B. McDonell (1936-1939), Aneita G. Snyder (1939-1940), Harold A. Lyons (1940-1942), Margaret Stephen (1940-1942), Nanalow Duke (1940-1942), Lena Giesbrecht (1943-1944), Polly B. Cherniak (1944-1946), Nestor Michalchuk (1946-1947), Larry Zbeetnoff (1947-1948), Mary Didychuk (1950-1951), Anne Romaniuk (1951-1953), and Nazar Watcyk (1953-1956).